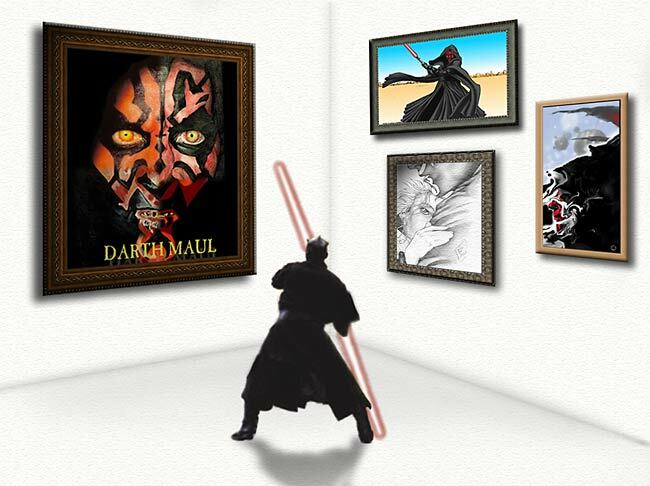 DMEB-2: Fan-Art : Original artistic creations featuring Darth Maul. Fan Art Submissions can be sent to maulmaus@cox.net. Featured Artists: An in-depth look at some of our collection and the artists who created the images. Maulvels: Artist Erik Barclay's original comic series featuring Darth Maul! Flash / 3-D Art Gallery: Technology used to create art! Rogue's Gallery: A collection of images from unknown artists! 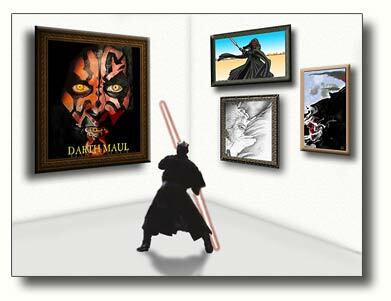 Links from some of our contributors and to some other great collections of Darth Maul and Star Wars fan art. Enjoy. The Force.net: Has a large collection of Fan Art for viewing. Sorted by film and genre. JanDuursema.com: Our favorite comic artist has her own site and boards. Take a look at some of her original Maul art, some of it available for purchase. TommyLeeEdwards.com: Artist and Illustrator - has a fantastic selection of Star Wars art including some delectible images of our favourite Sith Lord! DarthCynthia.com: See the rest of Cynthia's terrific Maul artwork! Lots of terrific drawings and paintings. JediNet.com: Has an impresssive collection of Star Wars fan art. StarWarsSpoofs.com: A series of Star Wars spoofs done with Flash. Excellent graphics! All original artwork is copyright of the artist and used here with permission. Please DO NOT publish or post any of these images on any web-sites without the express permission of the artist.